Can You Guess What You Can WIN? This has been the busiest summer of my life, so I relish the thought of summer fun and relaxation over the next several weeks. I always think of my readers, so I'm going to have a great contest coming up over the next little while that will let FIVE lucky readers a K---! Do you know what SnyMed contest is coming up, and if so which MODEL? Leave a comment below to let me know your guess, if you plan on entering, or how your summer has been so far! Kobo...Aura? My second guess would be Arc. KOBO! My summer would be fantastic if I had a kobo. Reading is my favourite spare time activity and what better way to enjoy the summer with a cold drink in your hand and Kobo in the other!!! I guess it's a KOBO Glo,...so far, my summer has rocked; a little too much rain, but that's okay!! Kobo Glo. Loving this great summer weather so far. I'm going to say a Kobo Glo because it looks like a G :) I want one so much! I will definitely be entering. I definitely plan on entering. This summer has been full of family, friends and fun - well except for the floods of course! Kobo Glo. Yes I'll be entering.We are spending lots of time in the water, reading, catching up on family time.Sadly,It goes so fast. Kobo touch! Yes, i plan on entering! Summer is flying by! 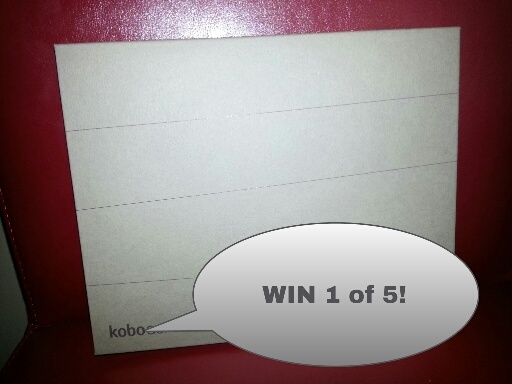 Yes i plan on entering to win a kobo touch! Kobo but not sure of model. Going to guess GLO. I'm guessing Kobo Glo ,,,,,,absolutely I will entering ! So far this summer has been quite busy so far with family gatherings , hard to find a weekend to just chill , but family is what makes life so great ! my guess is kobo glo , and YES I plan on entering. The summer so far has been quite hectic with lots of family gatherings. Its hard to find weekend chill , but family is what makes life so awesome ! Could it be a Kobo Arc? I've been camping lots and reading lots. Would be so much easier if I had an ereader. You bet I'm going to enter. My summer starts when my kids come home. Ken, the contest is coming up later this month (July). It will appear on this blog, and there will be an entry form to fill out. I'll vote that it is a Kobo Glo. I don't have an e-reader, so will definitely be entering the contest for a Kobo. Summer has been good so far. Wish the weather was more consistently sunny and hot. Too much rain. But, it is better then snow!! Kobo Glo!! Thank you for the opportunity!! My summer has been fantabulous so far and just celebrated our 10th Anniversary! Take care!!! This summer has been much busier than I thought it would be! But I will definitely make time to enter your giveaway!